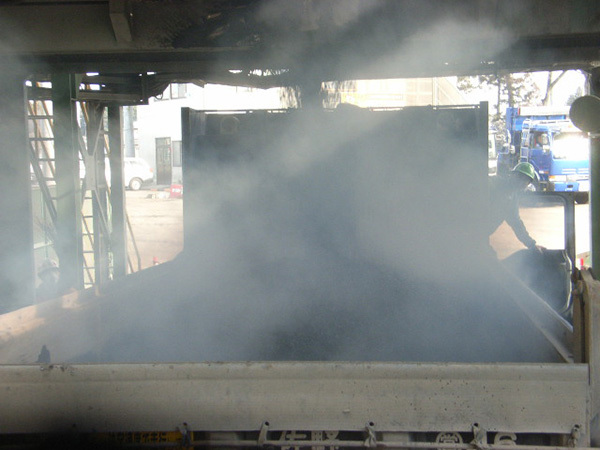 CLEANPHALT Type H is a premix type polymer modified asphalt for use in warm mix porous asphalt paving (high function paving), and conforms to polymer modified asphalt type H.
CLEANPHALT type H has the following features compared to polymer modified asphalt type H.
The mixture manufacturing temperature can be reduced by approximately 30℃. Because the mixture shipping temperature can be reduced, the time required to cool to the traffic opening temperature can be shortened. The mixture properties and conditions will be the same as those for polymer modified asphalt type H.
In the situation where manufacturing is carried out at the same temperature as the normal polymer modified asphalt type H, the time during which the implementation can be carried out can be greatly extended, so that it will also be appropriate for implementation in cold seasons. Porous asphalt paving where it is required to open the road to traffic at an early period. 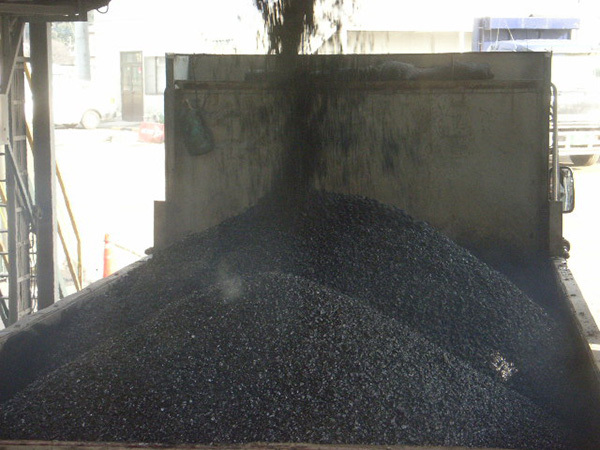 Porous asphalt paving where an extension of the usage possible time is required due to winter season construction or when there is a long distance for transportation to a remote area.